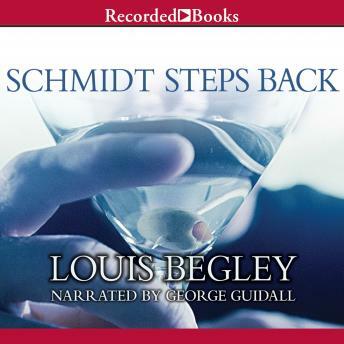 The third book in the darkly comic series following the travails of American anti-hero, Warren Schmidt, SCHMIDT STEPS BACK takes a more somber tone, covering &apos;the most difficult things &apos; the loss of a child, and the terrible things that have happened to our country in the last 14 years&apos;, according to author Louis Begley. In the new novel, Schmidt will watch the Twin Towers collapse from his office in New York. &apos;Unless one looks at the dark side, one shouldn&apos;t be bothering to write,&apos; said Begley. His protagonist was played by Jack Nicholson in a lauded 2002 film adaptation of the first novel in the series, ABOUT SCHMIDT.